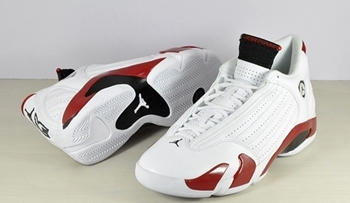 As expected, the Air Jordan 14 “Last Shot” became a huge hit when it was released last December. And soon, another Air Jordan 14 will try to create buzz in the market. Although the hype is not as big as the “Last Shot”, the White/Red edition of the Air Jordan 14 also looks very promising with its simple design, which is expected to captivate the attention of the sneaker lovers once again. The low-cut silhouette is made up with a white upper enhanced with red and black touches. No official release date as of today, but we will keep you updated!